By now we all know what is good for us and what is not! We can end the cycle of feeling bad about ourselves because of poor choices now. The energies of this full moon in Virgo can help us do this if we slow down and feel into ourselves daily. We are on the high road to the spring eclipse season. This one is VERY powerful. This is a controlled ascent to higher dimensions within and without. The watery energy of Pisces is also upon us as we flow around our boulders of obstructions just like a river. Pisces can herald in MAGIC. With Mars retrograde in Libra until May 19, we may feel frustrated as projects stall. This energy is here to strengthen us in one particular area. This is individual and dpendeny upon wher this transiting Mars falls in the astrlogical chart. Mars can fortify us as we hurtle toward the eclipse season if we allow it. 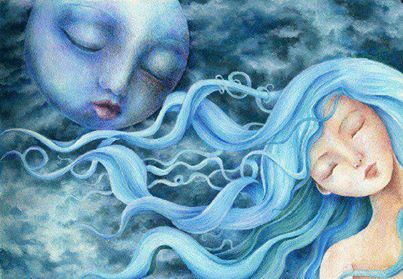 Let’s stay mindful of re-occurring dreams and situations. Let’s take up this March-in Martian challenge. This full moon in Virgo heightens our Body Speak. If we don’t listen to ourown body needs now, we can fall ill. Spring cleaning! For most of us, this is a waste of energy so it becomes important to find alone time so we can check in with ourselves daily. More sleep becomes necessary as we need rest to process and fortify ourselves. This is imperative now. As the end of April approaches, we must be rested to receive fully the energies of transformation and ascension that are coming. This is a crucial year for the evolution of Gaia and all beings upon Her. Please take ritual time to acknowledge this! Stay mindfully in the present, grounded in LOVE, accepting and grateful. These simple qualities are the cornerstones of this movement into higher dimensions which bring forth the GOLDEN AGE of peace, harmony, abundance, joy, community and celebration. And so it is…………….. Blessing to you all on this miraculous journey!